The BEST WESTERN Jayleen 1918 is a colonial inspired boutique hotel fitted with modern room comforts and amenities, and ideally suited for both the business and leisure traveler. It is located in the central business district at Boat Quay/Clarke Quay close by to Raffles Place, Suntec City, Marina Square and Marina Bay Sands Casino and Convention Centre. It is also close to numerous museums, theatres, parks and the SMU University. Our hotel serves international food and beverages. Unwind and relax at the fourth floor cocktail terrace (Alfresco) or at the Sky Deck Garden on the roof top. The BEST WESTERN JAYLEEN 1918 is a Tourist hotel. Located in City Centre area. Shopping is accessible by bus/taxi and the nightlife/restaurants are easily accessible by taxi or bus from the hotel. Descriptionclass="small" style="text-align: justify; font-size:11px;">The BEST WESTERN Jayleen 1918 is a colonial inspired boutique hotel fitted with modern room comforts and amenities, and ideally suited for both the business and leisure traveler. It is located in the central business district at Boat Quay/Clarke Quay close by to Raffles Place, Suntec City, Marina Square and Marina Bay Sands Casino and Convention Centre. It is also close to numerous museums, theatres, parks and the SMU University. Our hotel serves international food and beverages. Unwind and relax at the fourth floor cocktail terrace (Alfresco) or at the Sky Deck Garden on the roof top. We were a family of 4 members. 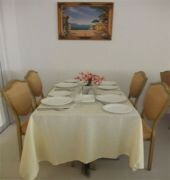 Location great as we used mostly MRT and walked to shopping malls to dine at night. I am not too sure what hotel they were staying in, the people who mention in their reviews "cozy", "clean" "quaint". The only positive for this hotel is the location. 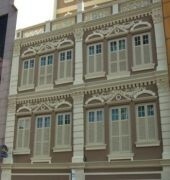 Situated approximately 5 minutes walk from both Clarke Quay and Boat Quay. The hotel itself is worn and shabby. The wallpaper in the lobby and in the room is peeling away, mildewy and dirty. The furniture is chipped and everything needs to be badly refreshed and updated. You have to walk through the shower to get to the toilet, which is not convinent if someone is in the shower or after a shower the toilet area is wet. Only bath towels were provided, no hand towels. Bath towels were thin and well worn, one had a hole in it. Also the room seemed liked it had not been swept or hoovered in a long time, lots of dust and dirt on the floor. Breakfast was average. Not worth the money paid to stay there, very expensive in terms of what you get. We had two rooms and chose here because of the low price and location. That said, we expected a budget hotel and what comes with the price. The rooms are small and the furniture quite worn. My first room was simply dirty and I was moved to another room, which I would not describe as sparkling clean. My friends' room had very poor cooling and when they complained, they were told it was fine. However, they secured a room with a properly working air conditioner the second night. I seriously contemplated changing hotels, but time was a constraint. 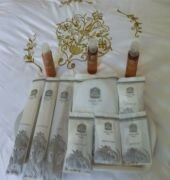 The positive experience was the friendliness of the staff, especially the lady at the front desk. She was very personable and quite helpful with our questions regarding the sites we wanted to visit. All and all, we would not stay here again. A convenient and pleasant hotel. 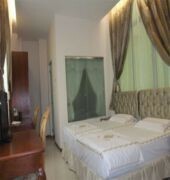 The room was clean and cozy, with soft linens, cold aircon, and hot showers. Miss Wong M. C. Took excellent care of me at the meals in the dining hall. The floor and tables in the dining hall are spotless, tidy, and clean. She has a very sweet nature and a heart of gold, she offered to take beautiful photos (which were very quick and accurate speed), and gave great advice on what to do around the hotel. Her demeanor was very calm, incredibly polite, and extremely kind, soft spoken, patient, and gentle. The spoons, forks, bowls and plates are washed very clean (miss Wong takes great pride in her washing). The tables are cleared very quickly by her for us to sit so we can get to our appointments on time. I am very grateful for how she improved our stay, and I hope more hotel guests will experience her warm hospitality for many years to come. I truly wish her joy, peace, happiness, good health and long life. May God bless her abundantly! I feel very proud of her, and very lucky to have been served by her. Madam E Suat Gek is an excellent chef, and she prepares a very delicious breakfast spread, with English and Asian style dishes. I really enjoyed the breakfast in Jayleen 1918. I hope many more guests will benefit from her cooking talents. I wish her all the best! Thank you for your glowing comments on our hotel and it's F&B staff. We welcome you to stay with us and are glad to hear of your wonderful stay. I booked this as a last-minute thing as I needed somewhere to stay on the way back from Australia and booking.com showed this as having 3 1/2 stars and a room available so I chose a â€œsuperiorâ€ double room. If the room they gave me was â€œsuperiorâ€ then I dread to think what a â€œstandardâ€ room looks like! The wallpaper was peeling, the drapes were broken and hanging down, the bathroom was in dire need of updating and had mould on the shower tiles - the shaver point was in the main room, not in the bathroom... Thereâ€™s a notice in the reception stating that itâ€™s a non-smoking hotel but thereâ€™s a strong aroma of recent smoking everywhere along with a smell of poor drainage. The bed and pillows were the hardest Iâ€™ve ever experienced and neither WiFi SSIDâ€™s allowed access to the internet. I chose to add breakfast to the booking but I would suggest there are better places close by where you could get a better breakfast for less money. Also, this is the first of many hotels Iâ€™ve stayed at in Singapore where bottled water in the room is not complimentary! Thereâ€™s a refillable bottle in the room that contains water, which is complimentary but I would not trust any drinking water provided in Singapore thatâ€™s not in a sealed bottle! 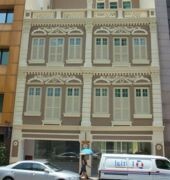 Whilst itâ€™s in a great location near to Clark and Boat Quay and the staff are pleasant, I donâ€™t believe this hotel is good value for money, particularly as the room I saw on the bookings.com entry was nothing like the room I was given.